Information on purchasing our model trees. All these trees are individuallitree handcrafted from wire and clay. No moulds are used. Therefore it is impossible to duplicate exactly any of these models, each of which has a unique number to identify it for simplicity. 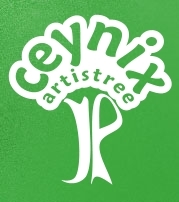 Should you wish to purchase an item, please email us to check its availability; info(at)ceynix.co.uk . For example, if we have just returned from an exhibition/show, the availability shown here may be out of date. After emailing be sure to check your junk or spam boxes for a response. There have been several instances where people resend an email because they have not received our response. Then they think we are ignoring them because they still don't get our response. Should you want smaller scales there are some specific smaller scale pieces scattered around. Due to the volume/space entailed, we do not take all stock to every show, so please check in if you are expecting to see a particular tree so we can ensure that it will be available for viewing. We do offer a 'payment plan' for larger items if you cannot afford to pay for one all at once. We also offer gift certificates so your recipient can choose the tree they want.